How would you describe your game: Very inconsistent and varied based on the state of my body and mind. The rare times when I am focused and healthy I feel like I can play aggressively and dictate rallies against the top players. Given the choice, what top R48 pro would you most like to play: Everyone in the top eight is great and all of the top Irish are great as well so I like to play all of them. The intensity, the competition, and the training is like an addiction. There is nothing more satisfying than playing a great match, win or lose, and knowing that you gave everything you had, and you have nothing left to give. This is Fink’s mantra. Fink brings strategy combined with strength, endurance, and speed to the game and a ton of sportsmanship; often times gaining strength from crowds that have turned against him. A true character of the sport. 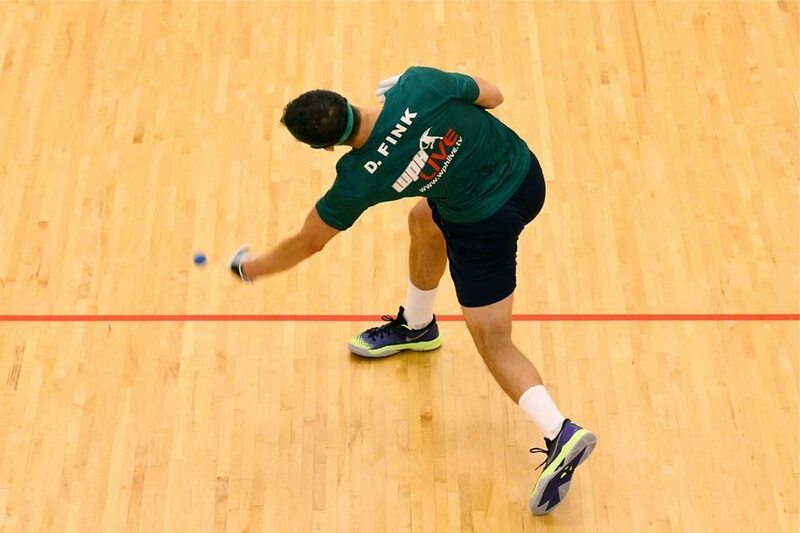 Fink is a walking offensive weapon with a lighting bolt of a left arm; ready to strike regardless of court position.